Learn about who we are and what we do because we want you to get to know us before deciding to ship a car with us. Moving a vehicle should not be a stressful experience. We make it easy because we love what we do. Corsia Logistics is a small, family-owned company. Our team of logistics experts provides personal touch and careful consideration of customer’s needs, options, and budget. We are Vasi and Lyubomir. We are married, and as owners, we work hard every day. We enjoy building our business together, hand in hand, step by step. It has been difficult few years, but we never gave up and we are happy with the fact that we can support our family and help people ship their vehicles with peace of mind. We both worked at one of the biggest auto transport companies in the US and we learned logistics. However, we decided for ourselves that we want to offer something else. After some years we knew we wanted to offer people a friendly talk and affordable service. No pushy sales calls, no big company feel. We have two more people working with us regular hours and a small agency employed to help with maintaining the website. We all feel like family because we treat each other with respect and patience. Whether someone works with us full time or as a contractor, we treat them like family. Corsia Logistics is a registered USDOT broker and a registered USDOT carrier. We have our own truck serving the west coast and multiple partners to service every state. Our broker license number is MC #825904 and USDOT #2405616. Our carrier license number is MC #50176 and USDOT #3051680. You can go to FMCSA Safety records website and search for our company by name, which is the easiest way, or by these numbers. We have a decade of combined auto transport experience and we provide national and international auto transport. We serve individuals and businesses from across the US. We employ only the highest safety rated carriers to ensure our customer’s peace of mind. Friendly talk and exceptional service – this is what we offer and what all of our customers receive. But don’t take our word for it – check our customer reviews online. Our team has the right amount of experience to know what customers expect and prefer. Yet, we never stop learning. Corsia Logistics’ team stays on top of industry innovations, regulations, and requirements. We learn every day and constantly adjust to an ever changing auto transportation market. We do it with love, dedication and respect for our customers, our carriers and our own efforts. Find out for yourself, read our customer reviews. It is a very fine balance we work hard to achieve. If you don’t do it with your heart and with consideration for all parties involved, sooner or later it will hurt someone. Over the last four years, we grew slowly and steadily. And this comes to show our dedication to our customers and carriers. We pride ourselves in caring for each customer personally. We answer all of your questions with care and consideration. When you call to get a price quote, we explain the auto transport process in details. We tell you how it works from pick-up through delivery. Our logistics experts explain how the payment works, what is a Bill of Lading and how the inspection is done. Then we invite you to ask additional questions. You can find all of the importat answers on our website. We do it because we love cars and we love helping people. We are not a large business with hundreds of customer representatives who do not know your personal needs. Corsia Logistics team is small and caring and we want to do it that way. This is the way to stay in close contact with your passion and your customers at the same time. A firm decision we made in the very beginning was to have normal working hours. We believe that whoever works with us will enjoy regular work hours. Whether from 8 to 5, or from 2 to 10, we do not ask for more than 8 hours a day from our employees or our contractors. In some of the most developed western countries people work 30 to 40 hours a week maximum because this is how you keep creativity alive. As owners, this is not always the case for us and we do stay late just because we need to help our customers or carriers. But we still manage to keep things under control and allow ourselves time to relax and recharge in order to stay productive and do our job with pleasure. 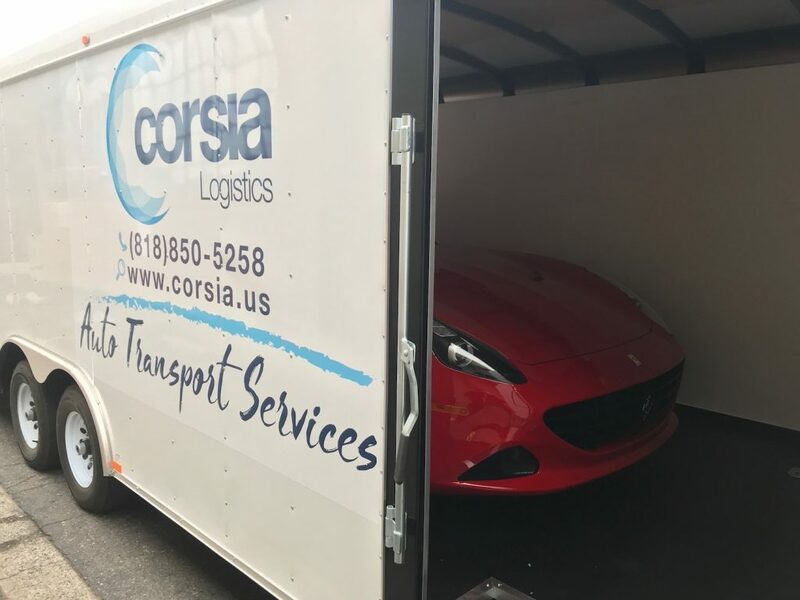 Corsia Logistics provides national and international auto transport. Our main service routes are in the US, but we work with international companies and manage the transport of vehicles from most US ports to most European ports. If you would like to speak with us, just give us a call at (818) 850-5258. We are here to answer all of your questions and help you ship your vehicle with peace of mind. Thank you.